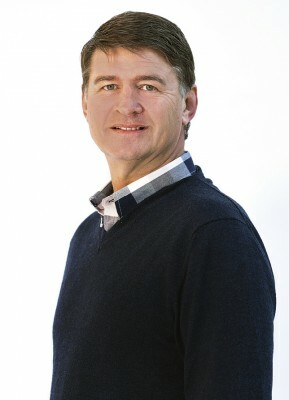 According to Pine Pienaar, the CEO, the name, ProVest, is an abbreviation of Professional Investment, referring to their investment in their employees through ongoing training, enabling personal growth, as well as their investment in their clients who benefit from the dedication and goal-orientated approach of their people, thus ensuring their clients attain their goals and objectives. “These investments are under the mantra of professionalism in our conduct, and in the services and products we deliver. We strive for the name ProVest to be the choice brand recognised for quality,” he says. In terms of their key mining services, the ProVest Group provides specialised cementitious products, such as shotcrete of different strengths and times to strengthen, to the mining industry. “We also provide underground secondary support through the application of shotcrete and the drill and installation of anchors. The manufacturing of Thin Spray Liner (TSL) and the application thereof also forms a large part of our business. “Other products provided are the Blasting Control Device (BCD), which prevents reverse priming and has the added benefit of improving the advance per blast. Our Platchro Mining division does traditional mining contract work such as underground stoping, development, vamping and construction,” explains Tshego Sefolo, the Chairman. As a ‘one stop shop’, ProVest has become adept at seamlessly getting different functions to work together for maximum productivity. “Clear goals and objectives determine the workflow of functions and individuals, the who that needs to do what, and the role of each individual. It is no different to that of a successful sports team. Obviously, the incentives for achieving predetermined productivity goals must also support efforts in a manner which does not compromise safe working practices,” Pienaar explains. With regard to exciting projects ProVest is involved in and their outlook for the rest of the year, Pienaar says, “We are consistently challenged by changes in the external environment pertinent to the mining industry, whether it is Mining Charter changes, declining volumes of work resulting from low commodity prices or community pressures on mines, we have to constantly reposition ourselves as a result. This while we seek external and organic growth opportunities to ensure employment for our employees,” he says. ProVest has been fortunate to render its services and products to most of the Blue Chip South African hard rock underground miners, namely Sibanye-Stillwater, Glencore, Two Rivers, Northam Platinum, Anglo American Platinum, South32, Lonmin and Royal Bafokeng Platinum. “As with all businesses, the key to remaining in business is to provide value for money, through consistently delivering quality services and products to our clients. The products and services obviously need to be backed by highly-qualified and experienced mining capabilities—our people, good safety systems and records, and an online track record. Our products are backed by the quality assurance accreditation of ISO 9001: 2015. “In 2014, we made a conscious decision to differentiate ourselves in the industry by introducing our own safety system supported by safety officers, which is in addition to our client’s specific safety systems, standards and procedures,” explains Sefolo. Sefolo says that, when one has a compelling investment story, access to finance becomes less of an issue. “Very often, people are preoccupied with raising finance before refining the investment case. If the story is good, the money will follow. I recently saw a Harvard Business School study by Shikhar Ghosh, which says that over a 10-year period, over 70% of start-ups fail. You must ask the question, is it the inability to access finance or a business case, which wasn’t robust enough to withstand market forces? I suspect the answer lies somewhere in between,” he says. In terms of his views on the progression of the Mining Charter III and being on track, Sefolo says, “The recently gazetted Mining Charter 3 provides certainty in an industry, which for the longest time, has been asking for it. When you look at some of the provisions in the Charter, particularly around communities and workers, I think these are well-placed, given some of the recent challenges we have seen in the industry. With the advent of the Fourth Industrial Revolution, technological advancements have had an effect on all industries, and the mining industry is no exception. Sefolo says this is a very critical topic and one that he is very passionate about. “I believe in the free market system. I believe that, given any opportunity, human beings will find a solution and seize the opportunity to thrive. That is the nature of the private sector,” he says. In his view, governments must provide the framework and a legislative environment (not unnecessary red tape) to enable this, effectively creating a fair playing field. “Of course, left unchecked, capitalists driven by pure profit motive can sometimes act to the detriment of society, for example, Ford and the fuel emission scandals in the automotive industry. “In a South African context, this also holds true. We face the triple challenges of unemployment, inequality and poverty. Unfortunately, the government alone will not resolve this. We need private sector involvement. We need to encourage entrepreneurs, we need to encourage an environment where capital does not feel threatened. This, unfortunately, we do not always get right. If we are going to thrive as a society and as a nation, a more collaborative relationship has to be fostered,” he cautions. Sefolo was born and raised in South Africa. A qualified Chartered Accountant by profession with an MBA from the Wits Business School, he did his articles with Ernst & Young in Johannesburg and, subsequently, at the London office. “I then joined private equity in the late 90s when I joined Ethos Private Equity. The industry was in its infancy at that time, having been around for about 20 or so years and largely driven by the unbundling of historic South African conglomerates, which were in existence from the Apartheid years. “It was then that I developed a passion for dealmaking. What I liked even more, was this idea of “cradle to grave” investing. Unlike traditional advisory businesses, we invest in a business and stay with them for the long term. So, you really must have the conviction when you decide to invest in a business. I started the business, Agile Capital, through a management buy-out of a business I ran since 2009, and with the backing of the FirstRand Group and RMB Corvest, I effectively launched a mid-market South African-focused private equity business. We currently have more than R1.2-billion of invested capital, with a further R900 million to invest,” he says. 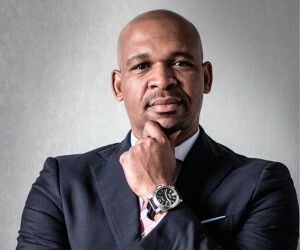 With regard to mentors, Sefolo says he didn’t really have mentors in the true sense, however, he has some trusted confidants whom he tests ideas with. “Sometimes, I will talk to two or three people independently to get their views on something. I prefer people who can tell me honestly if I am talking nonsense or missing something. That, to me, is the most valuable form of mentorship. My mother has had the most influence on me. From an early age, she taught me to guard against arrogance and be honest in my dealings,” he says. As the Chairman, Sefolo explains that the business of ProVest is very dynamic and operates in a very challenging mining environment in this country. “Challenges in the mining industry cannot be understated—decreasing commodity prices coupled with the ever-increasing cost of mining in a very volatile and sometimes uncertain regulatory environment makes it a very challenging investment case. As ProVest, we have been able to navigate some of these challenges and hopefully create a sustainable environment where employees and our broader stakeholder requirements are met. “We are also overly cognisant of the challenges facing communities where we operate, and we try to assist where possible. This, together with our management team, is something I am particularly attentive to,” he explains. 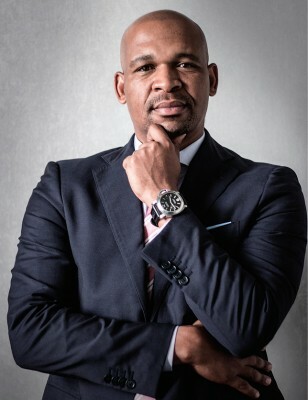 As the CEO, Pine Pienaar says two of the biggest highlights for him are when set organisational goals are being achieved and seeing an individual’s ability, confidence, competency and knowledge grow as well as seeing an individual grow as a person. “The other side of the coin are individuals who are stagnating in the work environment and as people—life is a journey of continuous learning and experiencing. “It is our plan to grow in mining, to get into transport, secure a footprint in the coal industry, and manufacture for mining. Why mining? It remains South Africa’s largest foreign exchange earning industry and although it’s a tough environment, opportunities do exist for those who persevere,” he says. In terms of what good leadership means to him, Pienaar concludes by saying, “Good leadership entails the crafting of organisational direction and, thus, providing a clear sense of purpose. “Additionally, it entails surrounding myself with a team consisting of diverse individuals who are better-equipped than me, both in skills and experience, to attain such a purpose. Then, it is a leader’s duty to provide those who are selected with the necessary support and means to execute the plan.